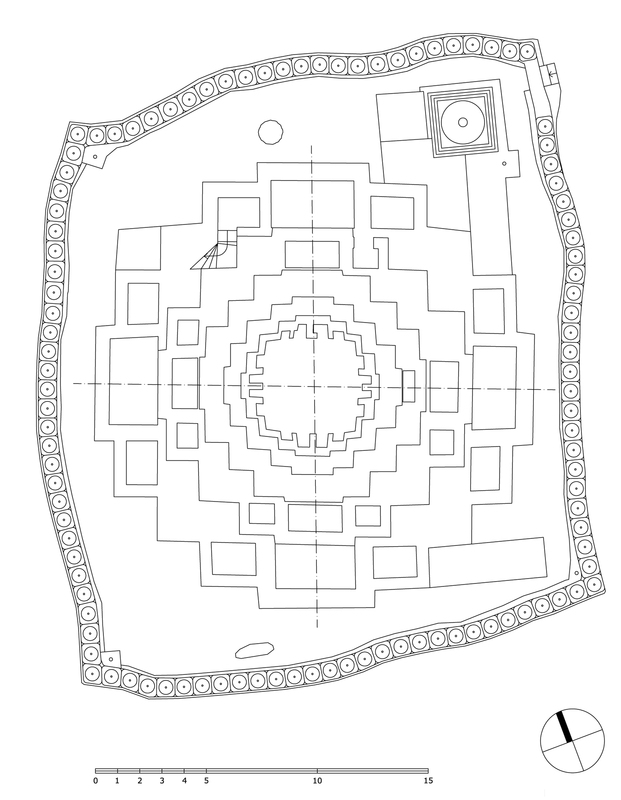 Coordinates of the site: 34°10'16.28" northern latitude and 77°34'46.48" eastern longitude, at an altitude of 3530 meters. 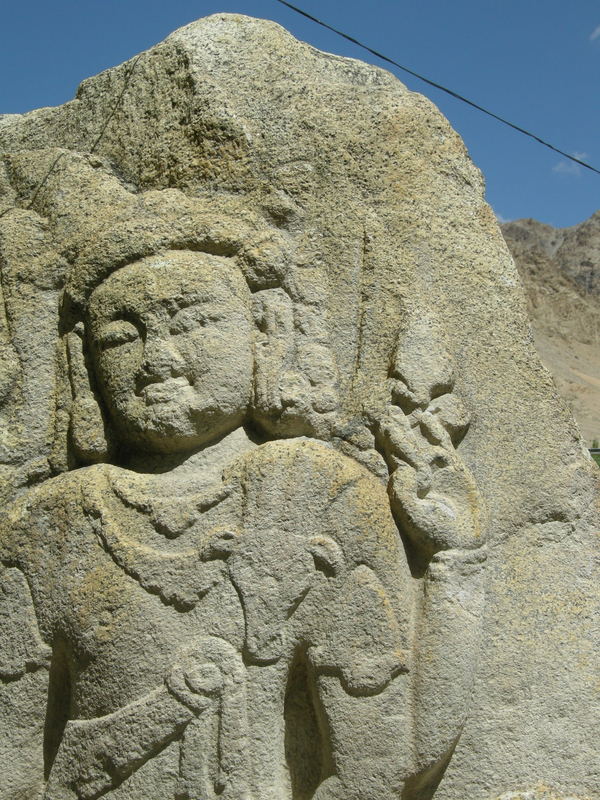 Leh is the capital of Ladakh in the Indian state of Jammu and Kashmir. 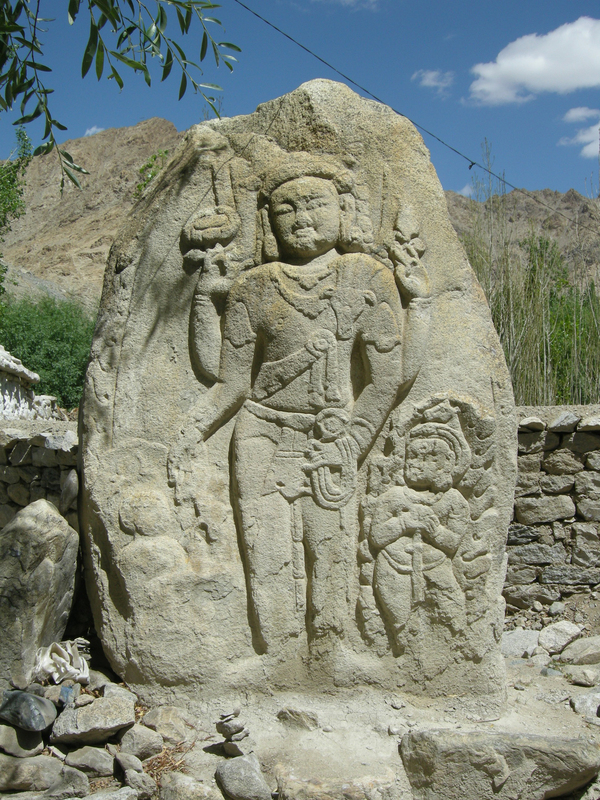 The town lies about six kilometres in the North of the Indus River in an infertile valley at the foot of a mountain. 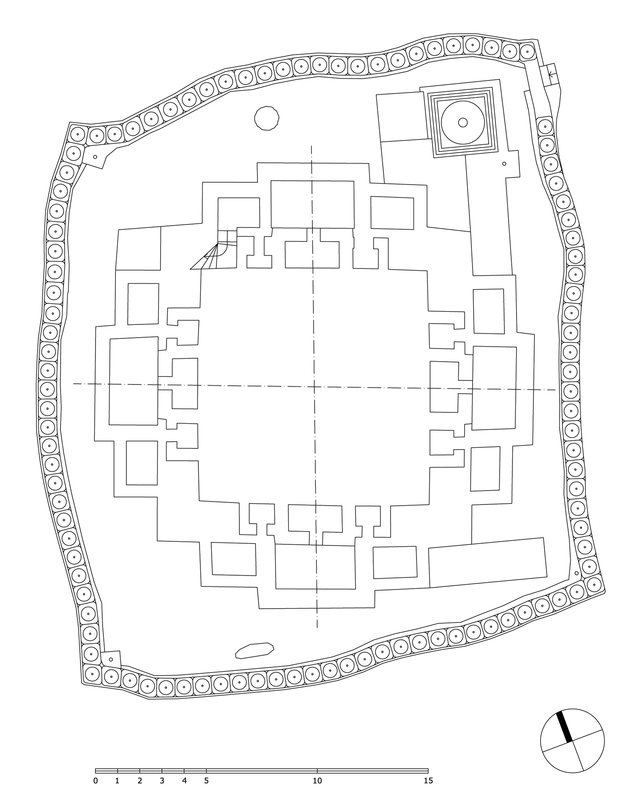 The Leh Palace, the former castle of the royal family of Ladakh, dominates the old part of the town. 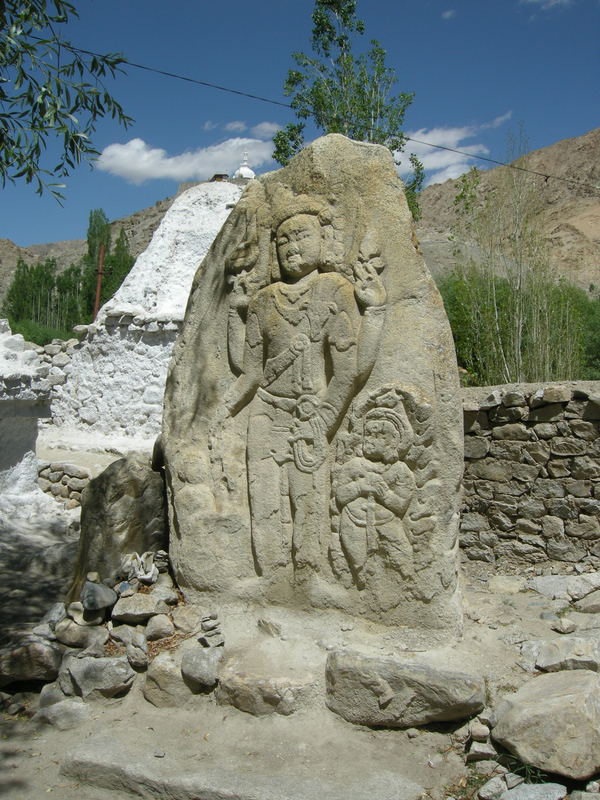 Changspa is a district of Leh, which lies in northwest of the town centre and can be reached by foot in 15 minutes. 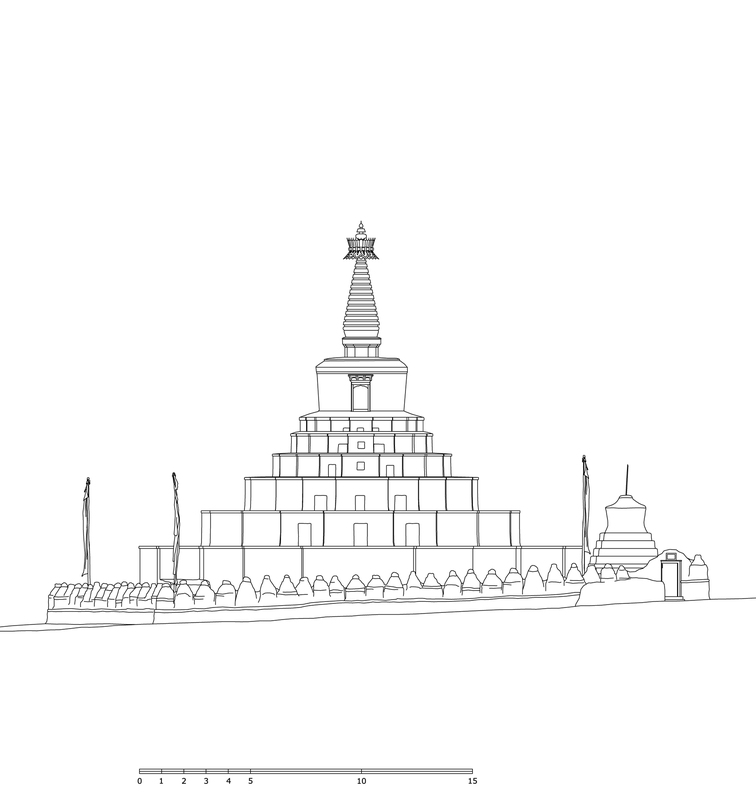 The Changspa Chörten is a special monument because of its age and its prominent appearance, which resembles a pyramid. 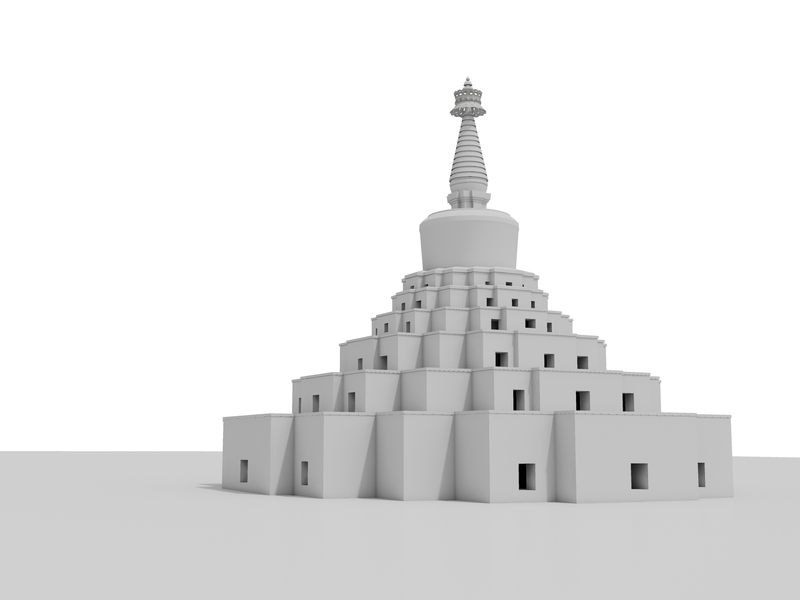 Its construction dates back to the 9th century. 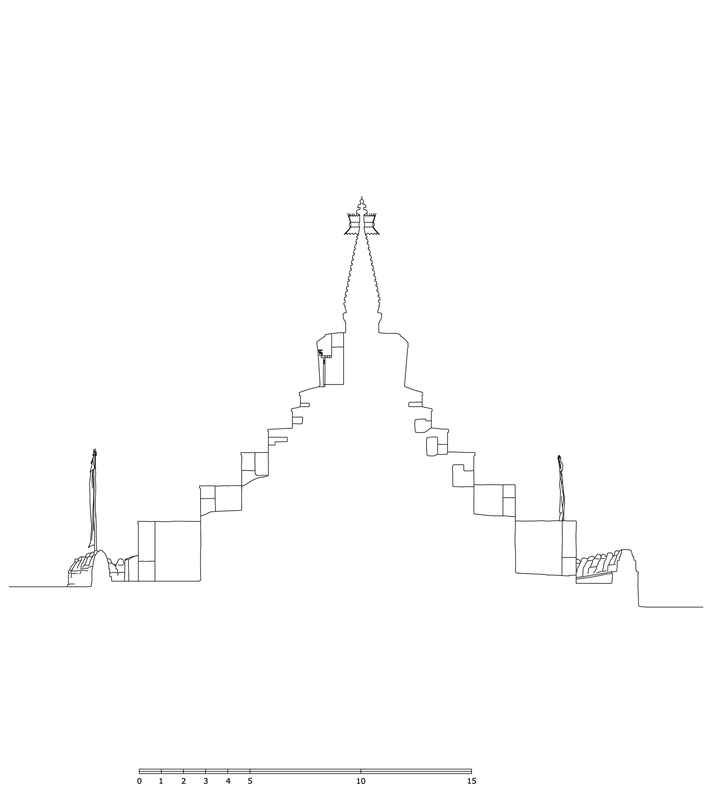 The huge chörten differs from other buildings of the same type through its structural composition. 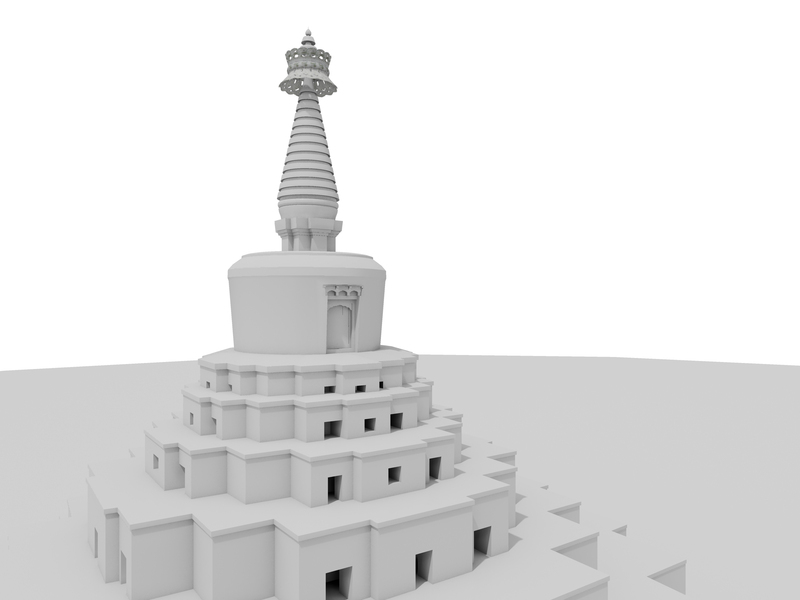 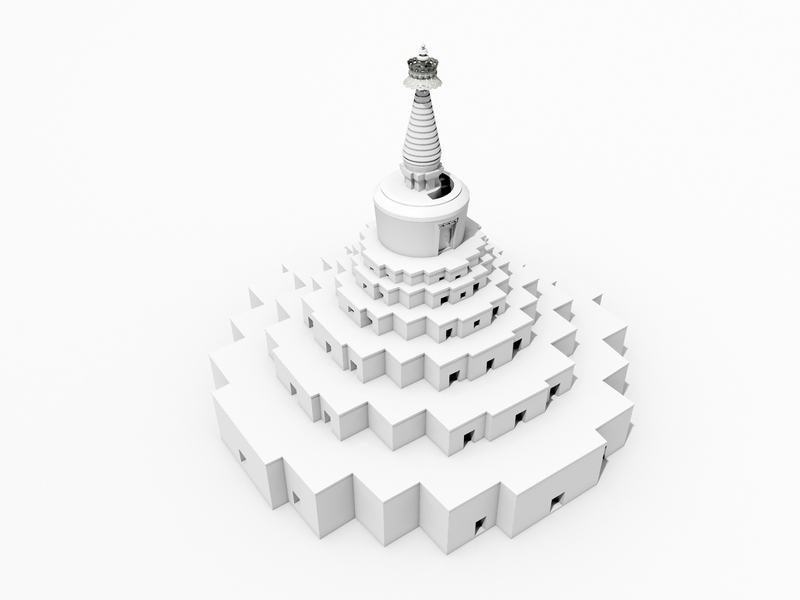 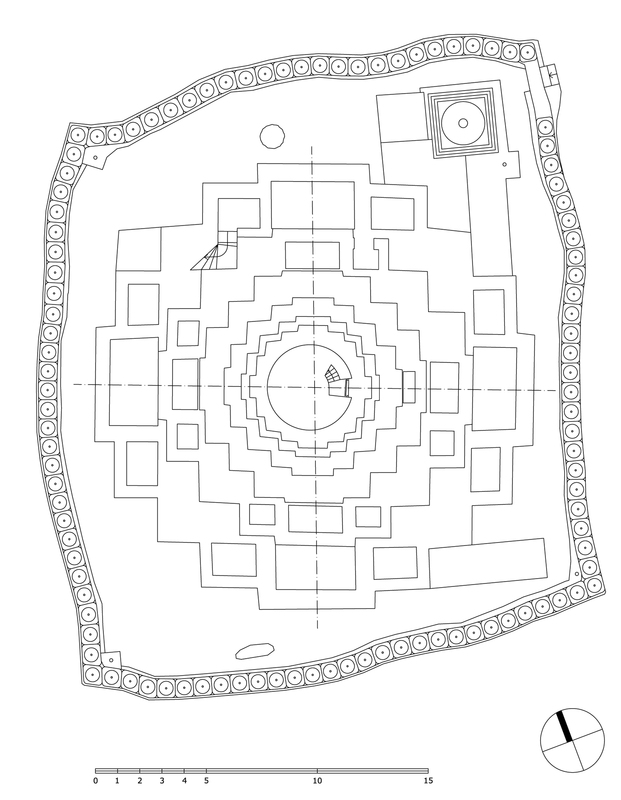 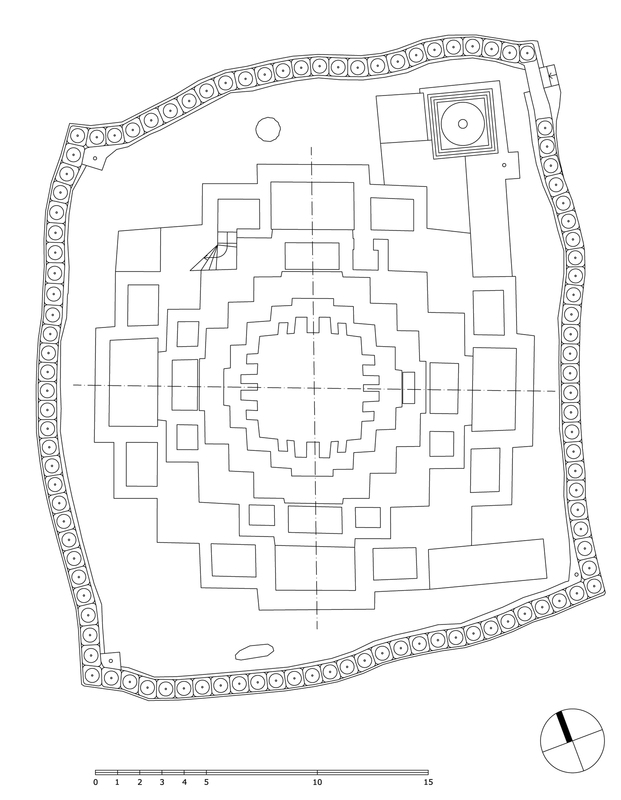 The ground plan shows a mandala-shaped structure with seven storeys diminishing upwards. 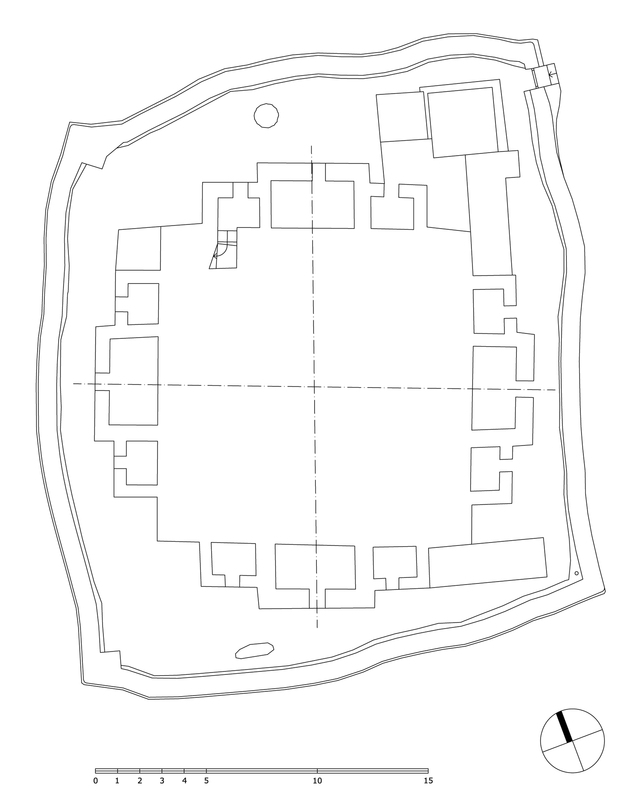 Today the various rectangular chambers of the chörten are empty but it is presumable that they were filled with small figures in earlier times. 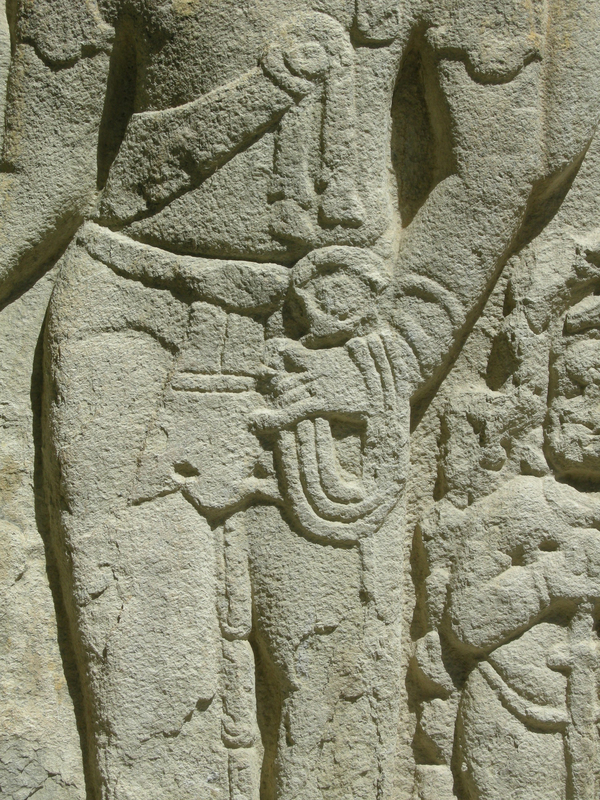 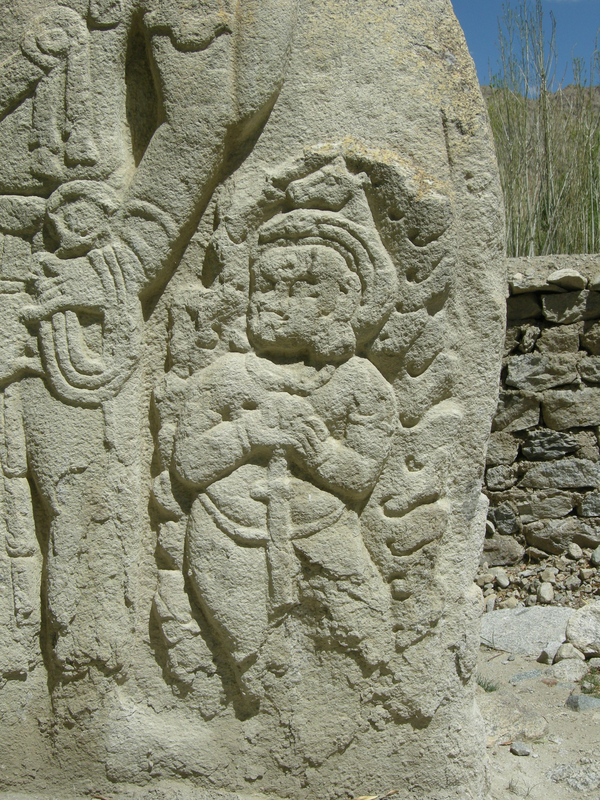 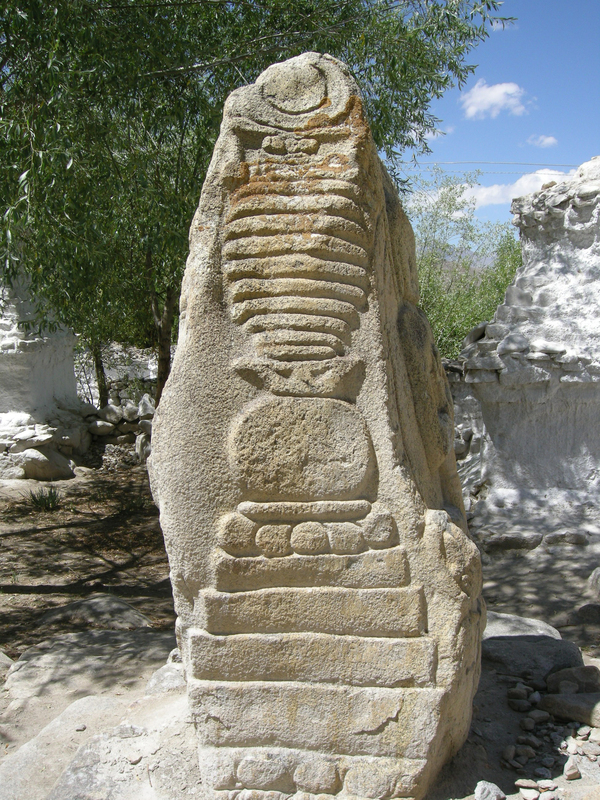 Next to the chörten there are several stone slabs with reliefs showing the figures of Maitreya and Avalokiteshvara.